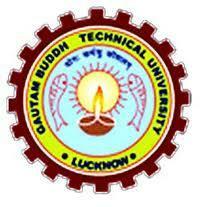 Uttar Pradesh Technical University (UPTU) was set up by the Government of Uttar Pradesh on May 8, 2000. According to the university's website, it is the biggest technical university in Asia. UPTU has 259 Colleges under it. Uttar Pradesh Technical University (UPTU) was established by the Government of Uttar Pradesh on 8th May 2000 vide Act No. 1248(2)XVII-V-I-I-19-2000 Uttar Pradesh Adhiniyam Sankhya 23 of 2000. Under the University Act, 'Technical Education' includes programmes of education, research and training in Engineering, Technology, Architecture, Town Planning, Pharmacy, Applied Arts & Crafts and such other programmes and areas that the central Government may in consultation with All India Council for Technical Education (AICTE) by notification in Gazette declare. On 18th Sep 2015, The University was Officially renamed as Dr. A.P.J. Abdul Kalam Technical University, Lucknow. Dr. A P J Abdul Kalam Technical University Uttar Pradesh (APJAKTU), Lucknow has 149 affiliated Colleges. Click here to explore them. Are you Interested in studying at Dr. A P J Abdul Kalam Technical University Uttar Pradesh (APJAKTU), Lucknow? This page was last modified on 21 November 2014 at 15:11.